Man dies from circumcision in Morocco. MOROCCO TIMES, Casablanca, Sunday, 30 July 2006. The court of First Instance of Fez sentenced a medical staff involved in circumcision death of the Ivorian to one year' imprisonment each. Mohammed Raiss, a surgeon; Ahmed Oudghiri, an anaesthetist; Hassan Cheikh, a nurse; as well as three other medical employees were held responsible for the death of the 22-year-old Ivorian on the medical staff of Raiss clinic in Fez for their negligence, which led to the death of Bogui Nimba Josue Arthur Privat, son of ex-secretary general of the Ivorian Ministry of Education. The Ivorian man, who wanted to convert to Islam, was required to be circumcised, in conformity with the Islamic teachings. But he died due to the surgery complications. All medical staff, mainly from Fez, were astonished at the court's decision. Mohammed Kohen, a specialist surgeon in cancerology and digestive and visceral diseases, declared that without a technical proof that a surgeon has committed a medical error, he is free from guilt. “Any surgical operation is studied, well-thought, and then decided. The surgeon values the importance of his action and thinks of that before, during, and after the operation. He carries with him all the anxiety, along with a feeling of satisfaction: being at the service of his patients,” a surgeon from Fez told Morocco Times. 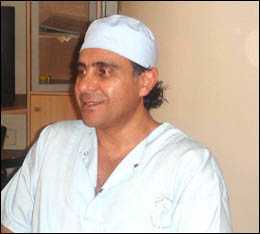 Asked about the possible complications of adult circumcision, Dr. Kohen, who is also president of the Moroccan Association for visceral surgery and chairman of the “Chirurgie Action” Association, said that the surgery becomes very risky when it comes to a patient of Privat's age. After the circumcision, the involuntary erection of the adult can result in a suture detachment and consequently a haemorrhage, he clarified. Houcine Ait Mhand. Fez's circumcision case: Court's decision appalls medical staff. Morocco Times, Casablanca, Sunday, 30 July 2006.